I feel like I say two things every day: fantastic day! exhausted. 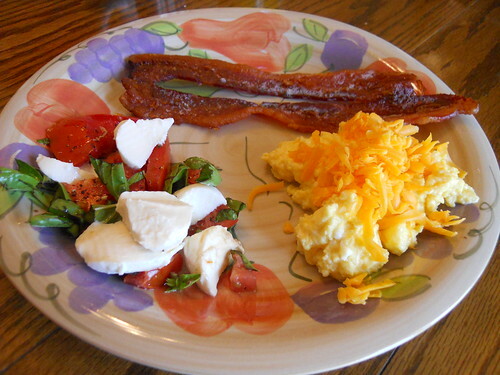 Jon and his mom made breakfast this morning – eggs with cheddar cheese, bacon, and a quick caprese salad that she threw together when she brought in some tomatoes (and basil) from her garden. 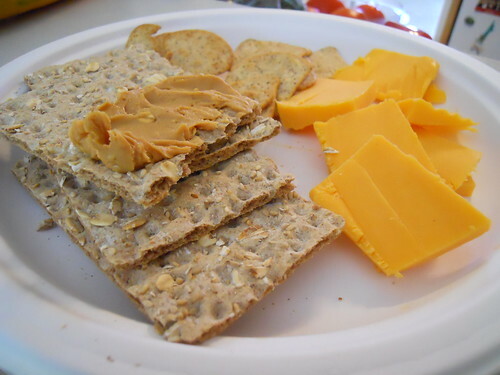 We didn’t eat much lunch since we were anticipating a large dinner and had eaten a large breakfast – just shared some crackers, cheese and PB. 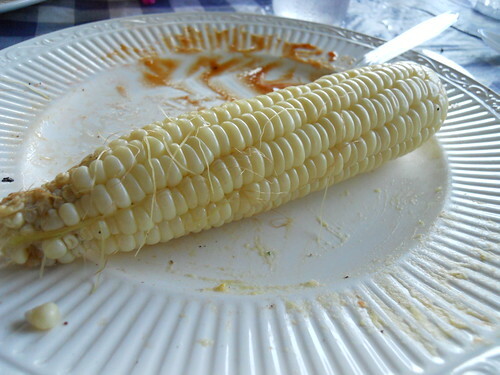 Jon’s brother had us all over for dinner (plus swimming). 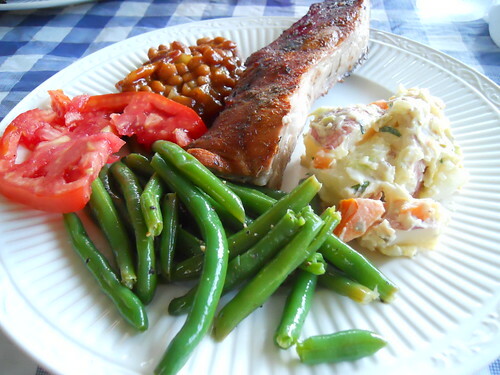 He had ribs and corn on the cob – we (Jon’s mom) brought homemade potato salad, baked beans, steamed green beans (Jon’s steam then toss with olive oil, salt and pepper method) and tomatoes. 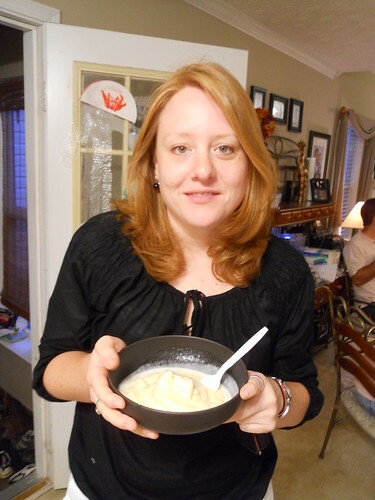 Oh – AND she made homemade peach ice cream. I was stuffed and exhausted by the time I got around to eating that ice cream, but I could NOT resist. Didn’t really try. I’m ready for some food and sleep normalcy. How the hell do people make it past 10pm on a regular basis? I’m a wimp.